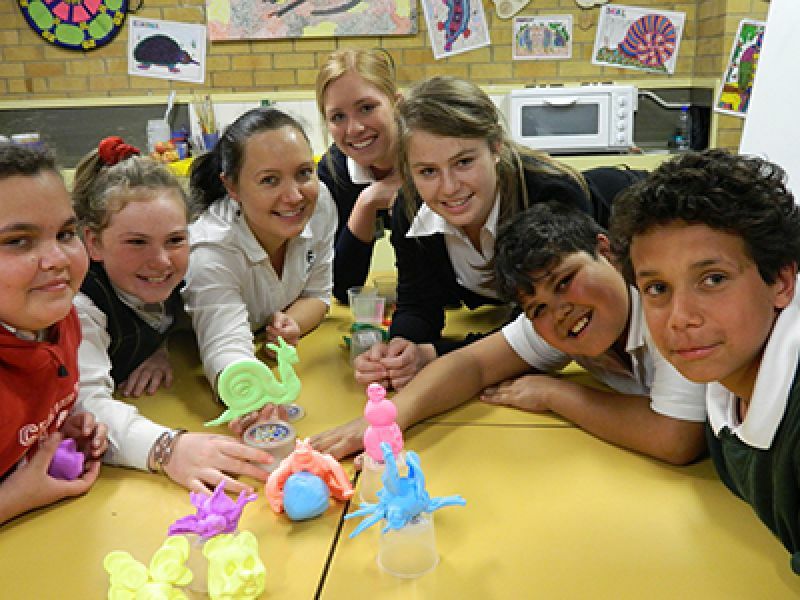 The after school learning centres target primary school aged children, with activities taking place in partnership with three schools in Tamworth. 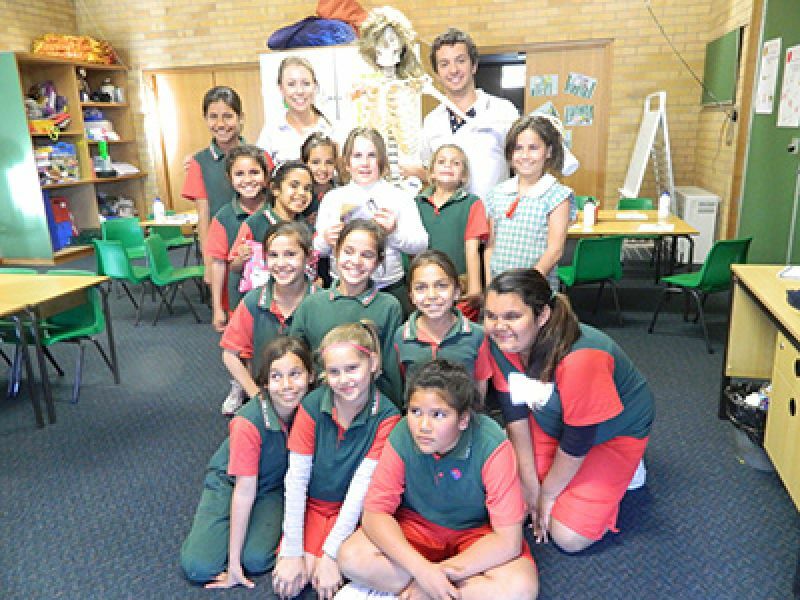 The activities involve allied health students in providing education to promote healthy behaviour, increase the childrens' awareness of their body and improve nutrition and physical activity while having fun. 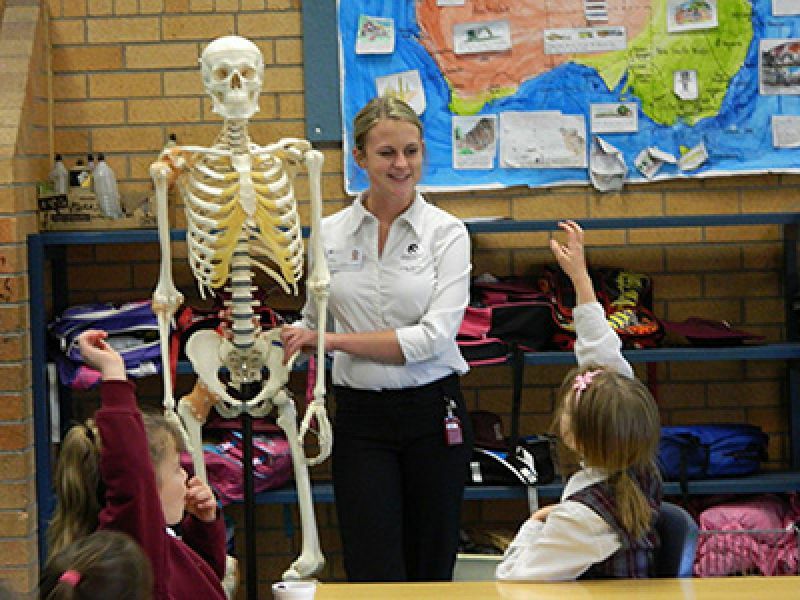 Nutrition and dietetics, occupational therapy, pharmacy, medical radiation science, speech pathology and physiotherapy student workshops with participation and presentations. By developing and presenting a health related information workshop, in consultation with your UoNDRH supervising academic, or by assisting participants in their activities. 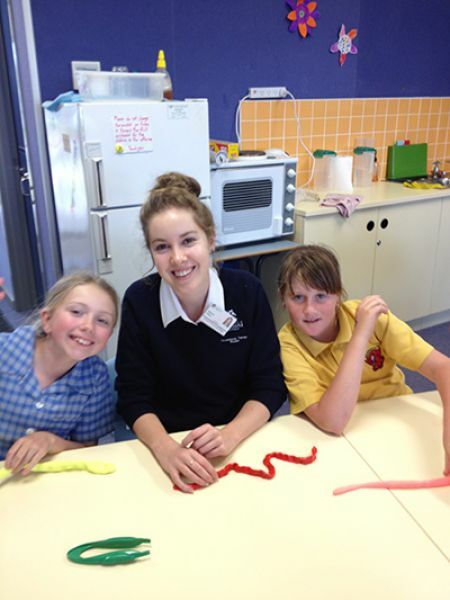 Occupational therapy student at Oxley Vale Public School.